Tehran had no reason to expect Russian Pantsir, S-300 or S-400 air defense missiles to begin knocking out the Israeli aircraft targeting Iranian military sites in Syria. 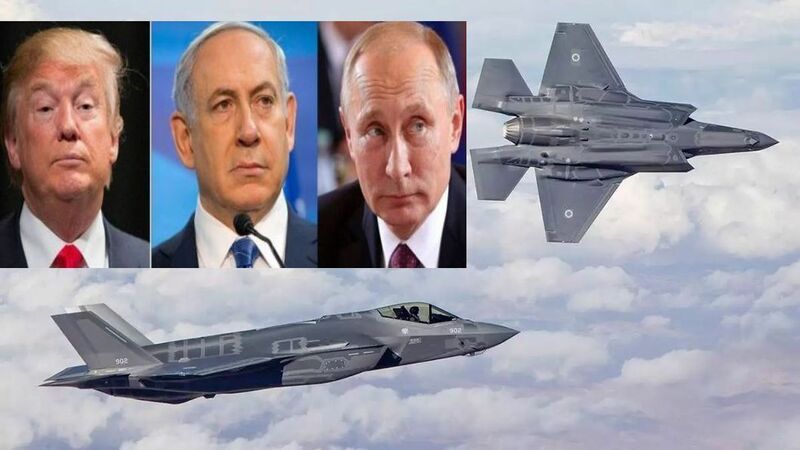 Some analysts reported that Iran was disappointed by the silence of the Russian systems when, according to Syrian sources, Israeli aircraft from Lebanese air space struck locations, in the Hama region early Saturday, April 13. DEBKAfile’s military and intelligence sources reveal that the Russians were quietly strengthened in their three-year policy of non-interference by a message from President Donald Trump to President Vladimir Putin through back-channels. Putin was warned to continue to turn a blind eye to Israeli raids on Iranian targets in Syria. The message implied that the Israeli Air Force was for the first time operating under an American aerial umbrella. Prime Minister Binyamin Netanyahu knew about the Trump message before he sat down with Putin in the Kremlin on April 4. He was there to adapt the military coordination arrangements between Israel and Russia to the relocation of Iranian command enters and stores from Damascus to Aleppo. The Israeli Air Force targeted the new locations for the first time on Feb. 27. The US guarantee of aerial support was first arranged at the end of 2018 between US Secretary of State Mike Pompeo and Netanyahu in his dual role as defense minister. But only now was it brought to the attention of the Russian president. Had the prime minister gone public on this deal before the April 9 general election, he would have been accused of inappropriately boosting his Likud party’s prospects. For that reason, Netanyahu and Putin abstained from going into specifics of the new arrangements when they met, having earlier covered them discreetly in their phone conversation a few days before their meeting. Russian Defense Minister Sergei Shoigu and his staff were conspicuously absent from the Israeli leader’s Moscow talks on April 4. They were demonstrating the reservations they have about American intervention in the bilateral Russian-Israeli understandings over the IAF’s targeting of military assets and arms shipments in Syria. As of now, the Russian military in Syria is barred from interfering in Israel’s anti-Iran offensive by the threat of American reprisals. At the same time, neither Washington nor Moscow is keen on a military flare-up occurring in Syria, certainly not one involving the Iranian military or its allied Shiite militias, especially Hizballah. The Iranians were furious when the Russian military made no move to defend their sites against Israel’s latest attack on the military facilities they share with the Syrians in and around Masyaf in the western Hama province. Syrian State media reported that several buildings were destroyed, including a military academy, and that Syrian air defenses shot down some of the Israeli missiles. Syrian opposition sources cited three Israeli targets and 17 casualties, including deaths, but it was not immediately clear whether they were Syrian or pro-Iranian militia fighters. DEBKAfile adds that one of the targets was a factory for upgrading the precision of surface missiles supplied by Iran to Hizballah. This entry was posted on April 13, 2019 at 12:50 PM and is filed under Uncategorized. You can subscribe via RSS 2.0 feed to this post's comments. You can skip to the end and leave a response. Pinging is currently not allowed.